The need for a gap year had always been at the front of my mind as I toiled through the necessary stresses of A Levels but finding something worthwhile to use it for was a little more of a challenge. The traditional Australia scenario, whilst enjoyed by everyone I know who has been, didn’t really appeal to me, I wanted a project. Then I found AV. Africa and Asia Venture are a gap year company who link young people with schools and conservation projects in many African countries as well as Mexico and Nepal. I was taken with the company immediately and, although I had initially wanted to be a conservationist, realised that the benefits gained by the local people from volunteer teachers were greater. 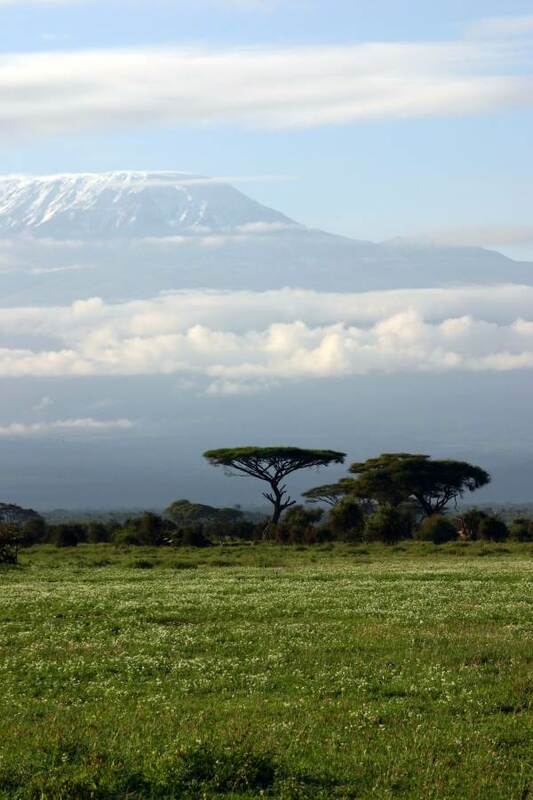 East Africa held the most appeal for me and I settled on Tanzania, lured in by Mount Kilimanjaro, Zanzibar and some of Africa’s most beautiful national parks. My project would last 5 months, 4 spent teaching and a month afterwards left open for travel wherever I wanted. It was a daunting prospect, heading out to a developing country to live with a group of other volunteers whom I had never met and try to teach a (massive) class of primary school children… in Swahili. Still, you don’t think things through it that much depth to start with and I applied, was accepted onto the scheme and began the first challenge, raising the money I needed to pay for flights, insurance, equipment, medical expenses, accommodation and activities. I was worried that working alone was not going to help me raise this much money and I was determined not to rely on my parents so I wrote to the Old Herefordians and they agreed to sponsor me. I worked full time for the next 5 months and by the time it came to leave on the 18th January I was completely worn out. But leave I did, between snowfalls, to arrive in Kilimanjaro airport, via Nairobi to glorious sunshine and a week in the protective arms of a hotel in Arusha and our coordinator Lynette. She looked after us from the AV office in Nairobi for the duration of our stay in Tanzania and came to visit at half term to check all was well. After a week’s crash course in Swahili, teaching methods and health, we left for our schools. I was living near Moshi on the slopes of Kilimanjaro with 9 others, my house in the village of Machame was the largest with 3 boys and 3 girls teaching in pairs at 3 schools. My school was Machame Primary, a mixed state school with around 280 children split into 7 classes or standards as they are known. It was well organised, had a wonderful headmaster, fairly decent buildings and 11 lovely female teachers. My teaching partner, Kim, and I fell in love with this little school. We were given Standards 3 and 5 for English and we taught them every day following the regional curriculum but pretty much ignoring the useless textbooks. This took quite a lot of imagination and loss of inhibitions, picture lessons on verbs and the actions for ‘dancing’. We also took the entire school for games. This was just crazy. The children just love sport. The boys are obsessed with football and some of them are very good. Luckily we brought a few balls with us from home as they only had one very flat decrepit one. All they wanted to do was play and would self-referee much better than I could so we focused on the girls for whom sport is considered unimportant. The traditional school game is netball so we taught the older girls the rules and while it wasn’t exactly beautiful play, it was enthusiastic and screaming, hugging and running followed every goal. We had nine wonderful but tiring weeks at Machame in which we had explored local towns and visited the East African Rift Valley, Lake Manyara, Tarangire and Ngorongoro National Parks experiencing my first safaris! I needed a rest by the time we broke for half term so headed to the Indian Ocean and the spice island of Zanzibar. It is as fantastic as its name and every evening is blessed with spectacular sun sets. Beach parties, warm sea, sunbathing and sea food, it was bliss. Seven of us enrolled in a PADI open water scuba diving course which took around 4 days and took us to some stunning marine reserves where we saw dolphins, swam with turtles and saw innumerable species of fish and coral. After a week we were joined by the rest of the group who had just climbed Mount Kilimanjaro, an amazing and unforgettable experience for them. At the end of our two week break after exploring Stone Town and a spice farm, we found it difficult to leave but we were strongly committed to school and began our final 5 weeks teaching. This was quite a difficult time, rainy season had set in and highlighted the short comings of our house, it was basic to say the least. Clothes didn’t dry, it was cold and dark and everything felt dirty all the time. Homesickness hit everyone hard as did dysentery and infection. By this time, however, the bonds formed between housemates, other members of our group, teachers and children at school were rock solid and we stumbled through laughing. By the time it came to say goodbye to school we were all a little heartbroken. 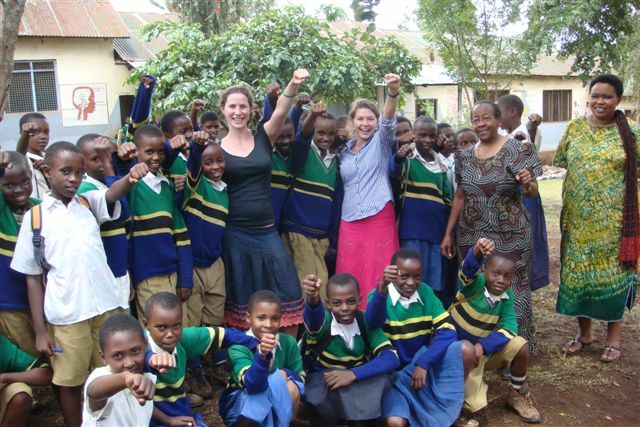 Kim and I had decided to use our donation money to connect the school buildings to electricity, in the hope that step by step this will improve teaching by providing more options and be something that future volunteers can build on. We also discovered that some of our schools brightest students had no hope of continuing education after they finish in October being unable to afford even the fees for state secondary school. This is only the equivalent of £60 per year and so Kim and I are sponsoring one child each until they graduate from sixth form. I think this will be the best money I ever spend. After a very emotional leaving ceremony where the children sang, danced and the teachers gave us speeches of thanks and a wonderful meal, we left Machame destined for the source of the River Nile in Uganda. Here we spent 3 days white water rafting and explored Jinja, Lake Victoria and then Kampala on the way back east to Kenya and the Indian Ocean, further north this time, near Mombasa. We spent about 2 weeks here on the beach and met loads of ex-pats at a massive charity beach sports competition. I spent this time battling with the idea of coming back to Hereford, which was difficult to imagine, and going back to work then university. I seemed to be in a different world, one that I longed to get back to but at the same time never reach. Once back in Nairobi we met Lynette and regrouped for our last trip. AV had arranged us a 5 day safari in Lake Nakuru and the Masai Mara for which we were very excited and by no means disappointed, it was the last chance for the group to spend time together before being redistributed across the UK and the USA for one member! We saw all of the ‘Big 5′ except a leopard and so many beautiful views across the savannah. It was with a swirling mixture of excitement and sadness that we boarded the Kenya Airways flight back to Heathrow but we all concluded that the slog of work had been totally worth it. We had made life long friends, seen so much and not wasted a minute of those 5 months.